"Thank you so much for sharing your information and expertise with us. I felt that the webinar was extremely helpful in providing some valuable new information as well as confirming so many things for me as an SLP (e.g. the ideas within your ASSIST and GOALS). The many videos were excellent in making your information clear. I also liked the exercises as they gave us practice in applying the information right away. The most important thing I learned was the hand cues. I have been using informal hand signs and gestures for many years, but your system makes excellent sense. I can think of many situations in which I can employ your hand cues, most importantly with my student with DS. I am so excited to incorporate these in my work with him. I think they will really help." "I thought the webinar was well done with lots of practical application. I also found the videos extremely helpful in that we were able to see the skills used in action. I would gladly recommend your webinar!" "Thank you so much for this wonderful webinar, Jill - The hand cues will be such a great addition to the work I do with young readers - Over the week as I was practicing the hand cues, I realized they fill a missing ingredient that will make the multi sensory approach I use much more complete - I enjoyed the videos very much - It helped to see the hand cues and cards put into action - Your beautiful daughter amazes me - Best to you, Jill, in this most important work you are involved in - You have an enthusiastic fan in Washington." "Thanks for all the good information and knowledge you shared with us at the webinar. It was a pleasure to see your daughter helping you with the lessons. This session was full of good tips and lots of information I can apply with the kids I work with. I really believe that is important to reach the full potential of every kid, and more important, the potential of special needs kids. There is something new to learn every day, so thank you again for sharing your knowledge with us." You have a child or student with Down syndrome……. 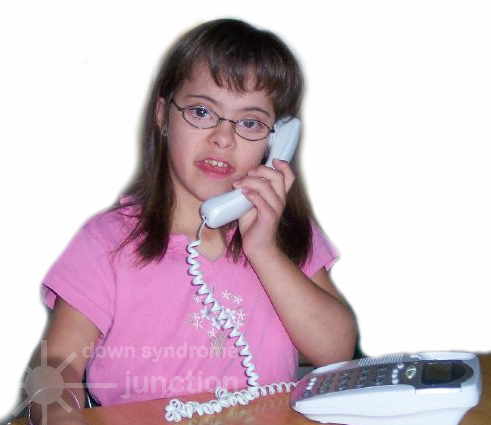 Join Jill Hicks, speech-language pathologist, and mother of a child with Down syndrome for this two-day live webinar. The two-day webinar is packed full of practical information to help you best help your child or student. We will start with the learning profile, and the most effective teaching strategies. I will give details about how to tackle speech and language, reading and spelling, and math. We will discuss setting appropriate goals, and adapting materials. You will learn the powerful Sign Sounds tool to help your child or student make sense of speech sounds. Sign Sounds (aka Phoneme Touch & Say) is ideally suited to support people with Down syndrome. Sign Sounds is a system of hand movements that show visually how each sound is made. Students use Sign Sounds when they speak to help them make the right sound. 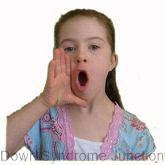 To learn more about Sign Sounds please click here. The webinar is interactive allowing for your questions and comments. I show numerous video examples illustrating what I’m teaching, and give lots of opportunity for hands-on practice to you leave feeling empowered and ready to go. Your registration fees give you attendance at the two-day webinar, the Sign Sounds e-Handbook, and a set of Sign Sounds Hand Cue Photo Cards that will be mailed to you. My passion is to help people with Down syndrome reach their full potential. 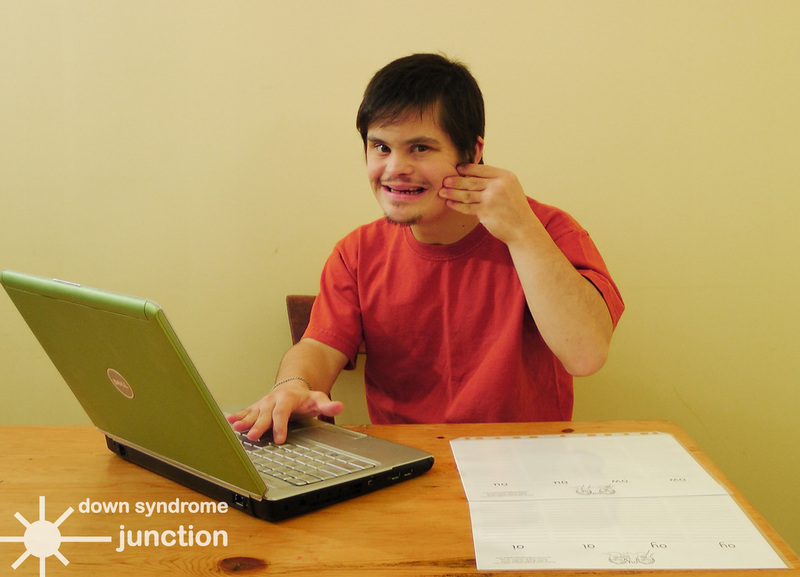 As both a parent of a teenager with Down syndrome and a speech-language pathologist who sees clients of all ages with Down syndrome, I have learned a lot about people with Down syndrome and I want to share this knowledge with you. I want to empower you to set the best goals, use the most effective strategies, and help your child or student reach new heights. 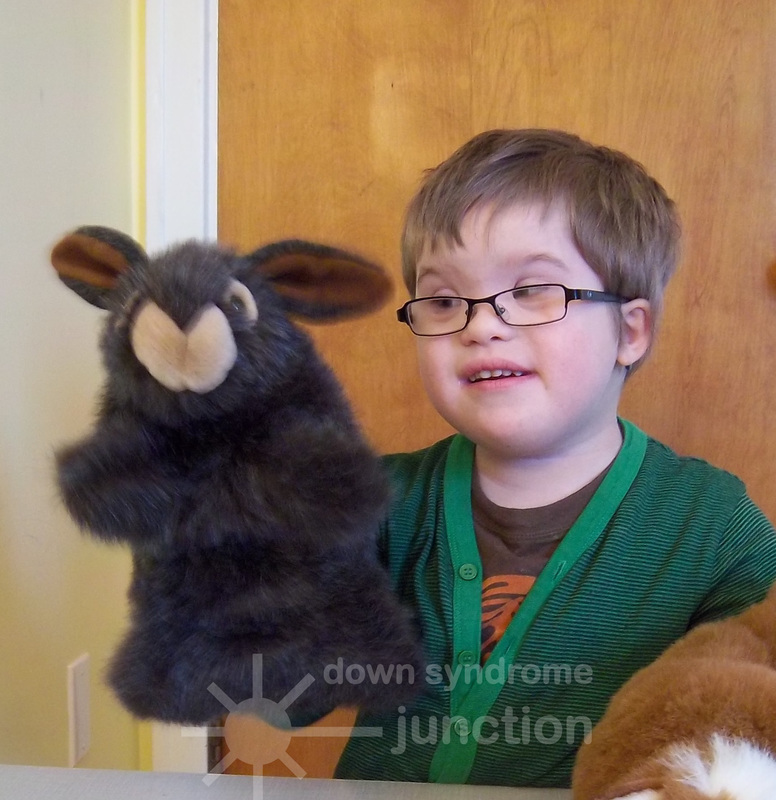 This webinar is ideal for teachers, teaching assistants, speech-language pathologists, parents, early childhood workers, and others who work with people with Down syndrome. When several team members attend together they form a cohesive vision for a particular child. ​Hope to see you at the webinar!